Yorkshire Three Peaks Training Plan. Tips and advice from the experts. It’s famous for a reason. You’ve got to dig deep and push yourself hard to conquer the Yorkshire Three peaks. It won’t be easy, it may even be the hardest thing you will ever do, but our Yorkshire Three Peaks training plan will ensure you are ready for this epic challenge. 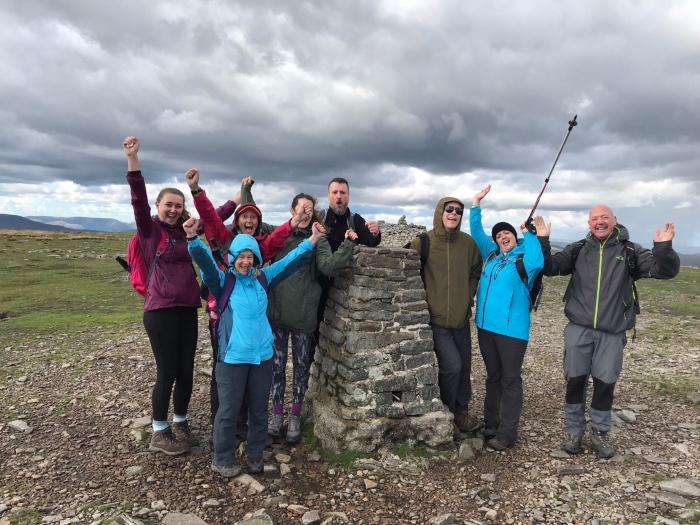 Whether you’re a beginner or an experienced hillwalker, this Yorkshire Three Peaks training plan has been put created to help structure your training so you are well prepared for the challenge ahead. The first thing you need to do is a have a goal date for the challenge. 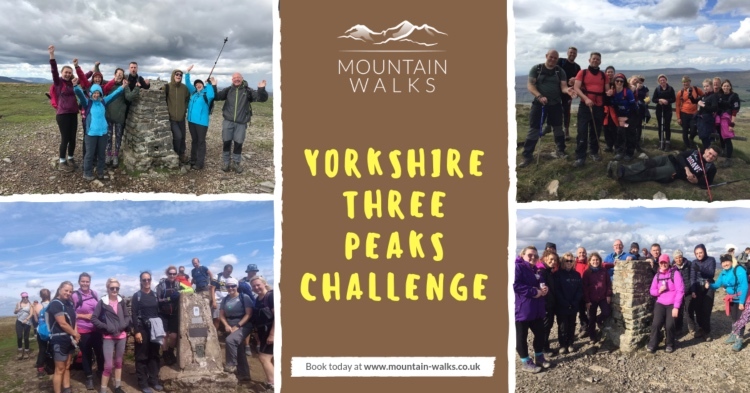 If you have not yet booked on to one of our open group Yorkshire Three Peaks challenges then we suggest you do that as soon as possible. Having a goal date is extremely important as this gives you something to aim and structure your training to. More information and book your Yorkshire Three Peaks challenge. The following Yorkshire Three Peaks training plan covers a period of 3-months. We recommend having a good base level of fitness before embarking on this training plan. This is so you have a foundation to build on and not starting from scratch. The training plan is aimed at an intermediate fitness level so you may need to adjust this depending on your current fitness. Adjust the times and distances to suit your current level. If you have any concerns about your health and fitness then we recommend consulting with your GP prior to starting any training. How fit do I need to be to complete the Yorkshire Three Peaks? At 24.5 miles and 1,500m of ascent this is going to be a tough walking challenge. To put it another way, you will be walking almost a marathon distance and climbing higher than Ben Nevis in under 12 hours. It’s an extremely tough and challenging day, both physically and mentally, and you must ensure you are fully prepared for the challenge. The dropout rate can be as high as 25% which gives you an idea of how tough some people find it. Having a good level of mountain fitness is essential and we highly recommend training properly for the challenge by following this Yorkshire Three Peaks training plan. The Yorkshire Three Peaks is massively underestimated! Without a shadow of a doubt, the Yorkshire Three Peaks is the most underestimated walking challenge in Britain. Unless you already have a solid level of fitness you will need to train. And train hard. We have been leading groups for a few years and we have never met anyone, regardless of fitness, who found it easy. Even the fittest walkers are hobbling around at the end! Almost all our clients say that if they did it again they would train harder (some say they would actually do SOME training next time J). If you don’t train properly then you will struggle. The dropout rates are high, and 95% of the time its due to walkers not preparing or knowing what’s involved. Following a simple Yorkshire Three Peaks training plan will make a big difference and we can’t stress enough how important preparation and training. You wouldn’t sign up for a marathon and not train! And this is almost in the same league. The focus of the first month is just to get you outside, or in the gym, and building a solid level of base fitness. If you haven’t done any fitness training before then you may find this month tough. Building a solid base level of fitness is essential and getting in as much ‘quality’ training in as you can is essential. Complete 2-3 training sessions a week in the first month. These can be 1-2 short mid-week training sessions and a longer weekend session. The mid-week sessions should be shorter and focus on aerobic conditioning and the weekend session on endurance. As the Yorkshire Three Peaks is a walking challenge then the more walking you can do the better (obviously). Even if you do a lot of running then make sure you factor in long walks as well. Time on your feet is key. The examples above will depend on your ability, but focus on time and get your legs use to walking longer distances and for longer periods of time. The more time you can add the better. This is very similar to marathon training where you concentrate on shorter, tougher mid-week fitness sessions and then tackle and longer, steady session over a weekend. 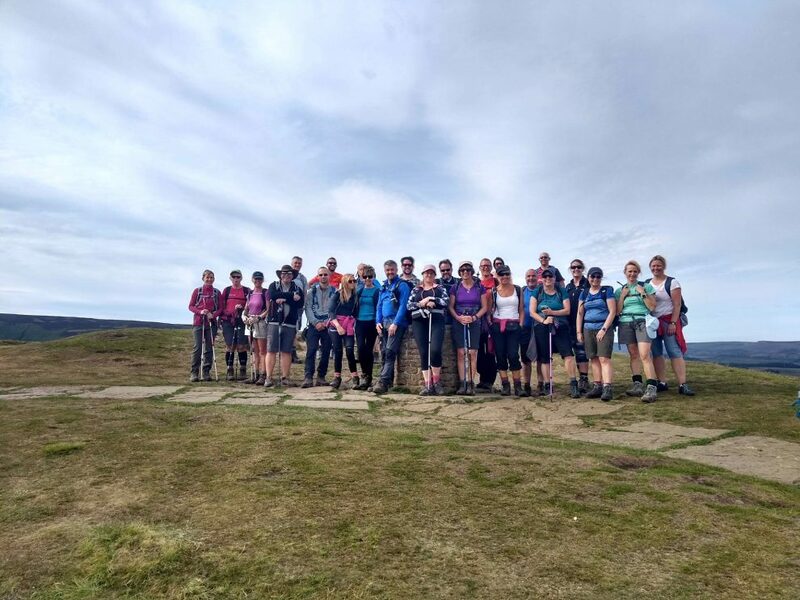 If you can build a good base fitness over the first few weeks then you dramatically increase your chances of completing the Yorkshire Three Peaks. With a solid base fitness, it’s time to start striding out, picking up the pace, increasing the distances and increasing the time on your feet. It is also time to start thinking about hills! At 24.5 miles, the Yorkshire Three Peaks is a long walk. A very long walk. However, the ascent is what catches most people out. 1,500m is a lot of ascent. Probably more than you think. It’s the same amount of uphill as climbing Snowdon via the Pyg Track…twice! When training for the Yorkshire Three Peaks you need to focus on the uphill’s as much as the distance…if not more. During month 2 you need to start increasing the distances and pushing yourself pretty hard. Increase your distances as much as time allows over the month. The longer you can be out walking the better. Increase the pace, increase the distances and find the biggest hills you possibly can. After one of these walks you should be pretty tired and in need of a few days’ rest. Try and include 1-2 shorter mid-week sessions as well which will help keep you loose and increase your overall core fitness. Things like cycling to work, evening walks or going to the gym will really help with maintaining your base fitness. Month 3 – The big walk! With just a month to go it’s time to go for a big walk! This is your practice run, a chance to see if all the training has paid off, and a good way to test out all your kit and make any adjustments. What is a big walk? If you are aiming to complete the Yorkshire Three Peaks in 12 hours then your big walk should be pushing towards the 8-10 hour mark. As before, the more the better. Choose a route that is as close to the real thing as possible. And that means hills, lots of hills. 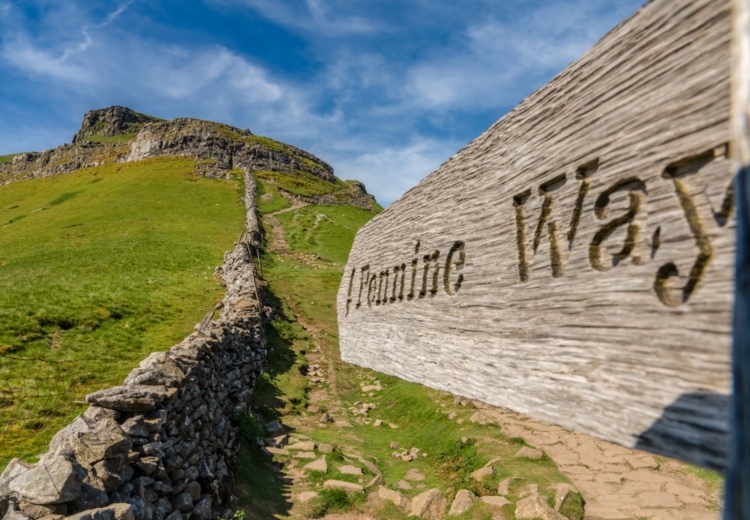 Routes like the Edale Skyline, The Ullswater Way, sections of the Cumbria Way or Pennie Way, basically long walking paths where there are enough steep sections to give your legs a really good workout. It is also really important that you wear the boots or trekking shoes you plan to use on the challenge. Blisters are horrible. They are one of the main reasons people walkers struggle with the challenge, so breaking your footwear in properly is essential. Ideally you should be wearing your boots for as much of the training as possible, but if you haven’t it’s time to put them on. Carry extra weight in your rucksack, test all your gear, make adjustments, and spend the walk experimenting. 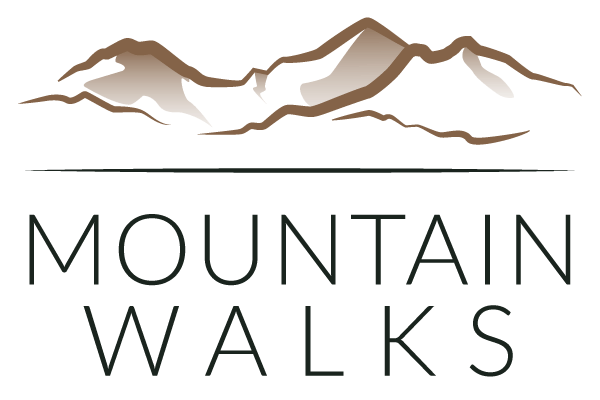 If you can complete a fast 8-10 hour walk over 18-21 miles, with lots and lots of hills (big hills) then you will dramatically increase your chances of completing the Yorkshire Three Peaks…and in a great time too. Also, keep pushing the pace and aim to be walking the second half a bit faster than the first. We have some good news! You can start to lower the intensity. The hard work is done. Over the next 2-3 weeks keep up the walking but lower the times and distances. Let your body recover properly and start to taper. Often people train hard right up to the challenge date and neglect the tapering bit. Don’t. Let your body fully recover while maintaining your base fitness. Cycle to work, go to the gym, complete some 2-3 hour walks, but keep the intensity low. Have a proper rest the week before your Yorkshire Three Peaks challenge. Check all your kit. Make any adjustments. Eat lots. Drinks lots (water that is). Make sure your body is properly hydrated and fully loaded with carbs. Sleep, rest and relax. The night before try and get some sleep. You will probably be up early depending on when you start. Avoid alcohol and spicy foods. Plenty of water and plenty of carbs. Triple check all your gear. Pack your food, fill up the water bottles. We hope this Yorkshire Three Peaks training plan gives you a good idea of what to expect and what you need to do to prepare for the challenge. It’s a tough challenge but with the right training, mind-set and plenty of determination then completing the walk is achievable. If there is one piece of advice we hope you take away from this then it would be hill training. A lot of people tend to focus on the 12 hours or the 24.5 miles. But it is the big climbs up the three mountains that will push you physically…and mentally. 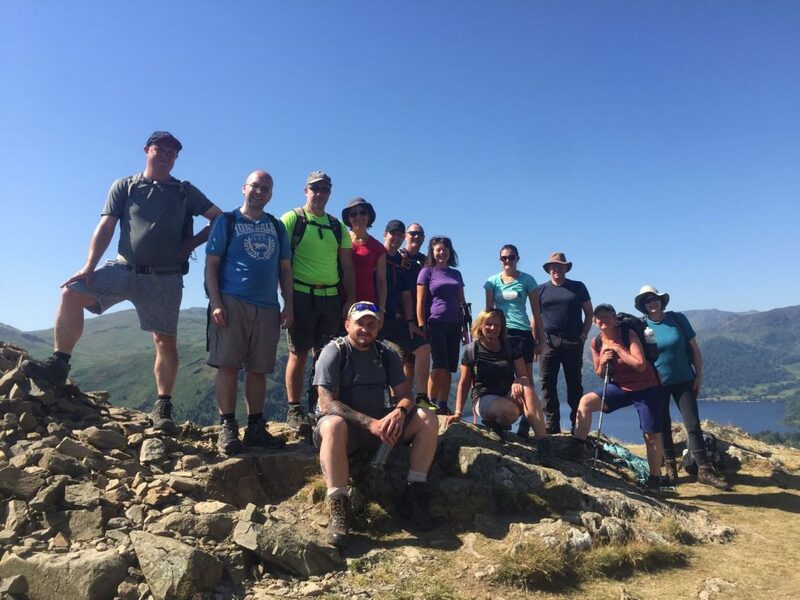 Finding hills can be tricky for some people, but they are essential to a good Yorkshire Three Peaks training plan and we strongly advice completing some training walks in areas like the Lakes, Snowdonia or Peak District. The more training and preparation you can do the better, so get your boots, pack your bag and get out on some long walks. We wish you good luck with both following this Yorkshire Three Peaks training plan and the challenge.